Since their inception in 1914, the "Midnight Mission" of Golden Heart Awards have enjoyed increasing international recognition as a philanthropy organization. Today they are the most respected organization. Prestige, long acknowledged within the philanthropy, has grown and establish over the 97 years and created Golden Heart Awards to Highlight the Philanthropy. Midnight Mission has annual Golden Heart Awards Gala in promotions and advertising. the necessary legal protection is provided for the copyright owner, i.e., the GHA. The operator assumes no responsibility for the information in the online offer being up to date, correct, complete, or for its quality. Liability claims against the author relating to material or idea-related damages caused either by the use or non-use of the presented contents or by the use of incorrect or incomplete contents, are basically excluded if there is no deliberate or grossly negligent blame proven on the part of the operator. All offers are without engagement and obligation. The operator expressly reserves the right to change, amend or delete individual pages or the entire online offer without prior announcement and to stop the offer for a specified period or also definitively. we cannot accept any liability for content on external sites linked to this Website. (c) You may not use the web site GHA or any of the Site data or material or documentation for any illegal or immoral purposes or for any purposes which could be construed as illegal or immoral or for purposes which infringe upon legal or commercial rights of any parties under any circumstances. e-mail address, mailing address, phone number. You may, however, visit our site anonymously. The email address you provide, will only be used to send you information as invitation info, news, advertisement. We implement a variety of security measures to maintain the safety of your personal information when you access your personal information. We not responsible for unauthorised Third Party, as a hacking. Occasionally, at our discretion, we may include or offer third party products or services on our website. These third party sites have separate and independent privacy policies. We therefore have no responsibility or liability for the content and activities of these linked sites. Nonetheless, we seek to protect the integrity of our site and welcome any feedback about these sites, links. The value of your privacy - we have taken the necessary precautions to be in compliance with the California Online Privacy Protection Act. We therefore will not distribute your personal information to outside parties without your consent. Anti-Phishing Act of 2005 - Business and Professions Code sections 22948-22948.3. This law prohibits "phishing," the act of posing as a legitimate company or government agency in an email, Web page, or other Internet communication in order to trick a recipient into revealing his or her personal information. Computer Spyware - Business and Professions Code section 22947 and following. This law prohibits an unauthorized person from knowingly installing or providing software that performs certain functions, such as taking control of the computer or collecting personally identifiable information, on or to another user's computer located in California. Personal Information Collected on Internet - Government Code section 11015.5. This law applies to state government agencies. When collecting personal information electronically, agencies must provide certain notices. Before sharing an individual's information with third parties, agencies must obtain the individual's written consent. Public Officials, Online Privacy - Government Code 6254.21 This law prohibits posting or displaying on the Internet the home address or telephone number of any elected or appointed official, as defined, if the official has made a written demand not to disclose his or her information. Entities receiving such a demand must remove the information immediately and ensure that it is not reposted. Reproductive Health Care, Online Privacy - Government Code section 6218 and following This law protects the personal safety of reproductive health care providers, employees, volunteers, and patients by prohibiting the posting of any such person's home address, phone number, or image on the Internet, under specified circumstances. Spam Laws - Business and Professions Code sections 17529 and following and 17538.45. These laws regulate "spam," unsolicited commercial e-mail. Section 17529.5 concerns unsolicited commercial e-mails with misleading or falsified headers or information, and includes penalties. It applies to e-mail sent to or from a California e-mail address. It authorizes the recipient, an e-mail service provider, or the Attorney General to bring an action for actual damages and liquidated damages of $1,000 per e-mail ad sent in violation, up to $1 million per incident. It also authorizes attorney's fees and costs to a prevailing plaintiff. Section 17538.45 gives an e-mail service provider the right to sue those who send spam from its network or to its subscribers. Service providers can get civil damages up to $25,000 per day plus attorney fees. See also the federal CAN-SPAM Act. 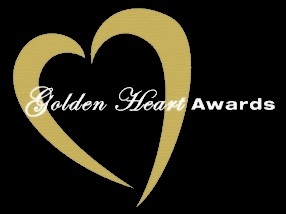 The Official web site Goldenheartawards.org web site ("Site"), including, without limitation, are Copyright ©2011 by AAEG. All rights reserved. Neither the Site nor any part thereof may be reproduced or copied in any form or by any means without the express written consent of the Golden Heart Awards. Access to the Site is provided subject to the following Terms and Conditions. YOUR USE OF THIS SITE CONSTITUTES YOUR AGREEMENT TO BE BOUND BY THESE TERMS AND CONDITIONS. Limitations on Use. The content of this Site is for information and personal use only and not for commercial exploitation. You may not copy, modify, reproduce, republish, distribute, display, or transmit for commercial, non-profit or public purposes all or any portion of the Site, except to the extent permitted above. You may not decompile, reverse engineer, disassemble, rent, lease, loan, sell, sublicense, or create derivative works from the Site or its content. You may not use any network monitoring or discovery software to determine the site architecture, or extract information about usage or users. You may not use any robot, spider, other automatic device, or manual process to monitor or copy our Site or its content (except to the extent necessary for public search engines to create searchable indices). Users must be at least 18 years of age or have parental or guardian consent. Linking to the Site. You may provide hyper-text links, only to the homepage Goldenheartawards.org, provided: (a) you do not remove or obscure, by framing or otherwise, any portion of the homepage, (b) you give GHA notice of such link by sending an e-mail to goldenheartawards@mail.com and (c) you discontinue providing links to this Site if requested by GHA. Disclaimer. The accuracy, completeness, adequacy, availability or currency of the Site or its content is not warranted or guaranteed. GHA expressly disclaims all warranties, including the warranties of merchantability, fitness for a particular purpose and non-infringement. Your use of information on the Site is at your own risk. GHA does not represent or warrant that the Site will be error-free, free of viruses or free of other harmful components. The Site is provided on an "as is" basis. Limitation on Liability. GHA shall not be liable for any special, direct, indirect, incidental, or consequential damages of any kind whatsoever (including, without limitation, attorneys' fees) in any way due to, resulting from, or arising in connection with the use of or inability to use the Site or the content. GHA shall not be liable for any loss, injury, claim, liability, or damage of any kind resulting from your use of the Site. Indemnity. You agree to indemnify and hold GHA, its officers, members, employees, and agents, harmless from any loss, liability, claim, or demand, including reasonable attorneys' fees, made by any third party due to or arising out of your use of the Site.